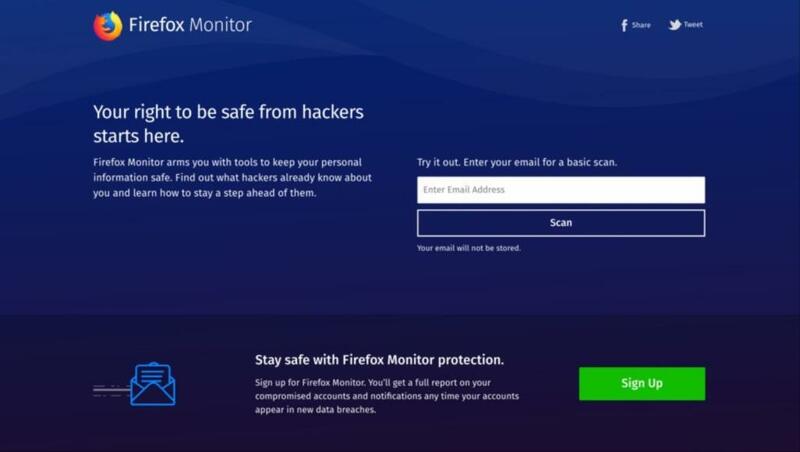 Mozilla has announced a new service called Firefox Monitor that you can use to check whether your personal information has been compromised by any of the numerous data breaches that occur every year. To get started, all you have to do is to visit monitor.firefox.com and type in your email address. Your email address will be scanned against a database that serves as a library of data breaches. The search only takes a few seconds and you will be notified if your email address was compromised in any breach. The notification includes the name of the company that was hacked, the breach date, number of compromised accounts, and compromised data. In addition, much like “Have I Been Pwned” service, Firefox Monitor also allows you to sign up for alerts that are sent directly to your email. This is a more proactive approach to staying on top of data and privacy breaches.